You can do more than you think to target your ideal tenants and increase your rental income. On a recent Real Estate Talk show, Shannon Davis explains the ways to make sure your investment more attractive to potential tenants Happy tenants, happy investor. Kevin: Any property investor will tell you that one of the important things about having investment property is making sure you have income coming in. One way to do that is to make sure that your investment property is tenant friendly. How do you go about doing that? Shannon Davis from Metropole Properties in Brisbane joins us. Good day, Shannon! How do you go about doing this, mate? Shannon: I think the first thing, Kevin, for being tenant-friendly is the price. No matter how good your property is, if it’s over-priced… People do a lot of study for these recurring expenditures, and for many people, it will be their biggest bill. So don’t have it over-priced. Secondly, the location. People have grown up in an area, or they work in area, they have commitments to an area, so location is going to be pretty important. When choosing a property, look for employment hubs, and transport, and shopping, and school districts, because that’s going to bring your property more and more in demand. Shannon: The main living areas. Kitchens: look for counter space. Bathrooms: try and make them modern. A really tired bathroom will drag you back. Bedrooms: see if they can fit a double bed in, and have built-ins, if at all possible, because that’s what tenants want. With living spaces, Kevin, the more bedrooms you have, the more reception areas you need for people to retire. A four-bedroom house might need two reception areas or two informal lounge areas, maybe a courtyard or a balcony, as well, because people don’t want to be crowded or living upon each other. I think that’s really important. Also, Australians still love their cars, so parking – especially the off-street parking – is really important to an investment property. Also, pet friendly accommodation is really important. 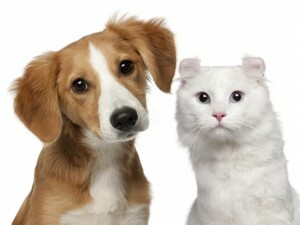 56% of Australians, as per the last census, have pets, and 25% are thinking of getting pets. I think that’s a really important thing to consider, because if you rule out pets, you are ruling out a big percent of the renting population. Kevin: Yes. It’s crazy to cut out people with pets, and also I guess that flows on to making sure that the backyard is nice and secure for the pets, as well. Shannon: Yes, definitely. Well-fenced, which brings me to my next point. Security is a big point. I would make sure that not just fencing, but security grilles and allowing the tenants to feel safe within their home is really important, and it’s something that comes up a lot in open home inspections. Kevin: How important is storage, making sure there’s plenty of storage space? Shannon: Yes, storage is becoming increasingly popular. You can actually get more rent for it. You see storage cages in areas where there’s a secure car park but not secure for people to put items like bikes, and whip snippers, and things like that away are becoming more and more important, and people will pay you extra for that. Kevin: You can actually charge extra for that? Are there any other things that you could charge a little bit extra for, or maybe get a slight premium on, Shannon? Shannon: I think mod-cons are really important. When you update your properties with air conditioning, or remote garages, or dishwashers, tenants will pay a premium for those modern conveniences. I think despite if that’s the way you live or not, you should think about that for your investment property. Kevin: Always good talking to you – Shannon Davis from Metropole Properties – about ways that you can make sure that your property is more tenant-friendly. Shannon: No worries, Kevin. Any time.